When Wim begin breaking World Records for extreme cold endurance he got the attention of the scientific community. Many prominent scientists approached him and wanted to look into his method and validate what he had been teaching was true. The result: a scientifically proven 3 step method that you can apply to shield disease, overcome depression and anxiety, destroy migraine headaches, and increase your personal performance. *NOTE & Disclaimer: We do not make any health or medical claims. You understand that if you follow Wim’s or anyone’s guidance you should do so under the guidance of your doctor. You are responsible for your results and always do your homework to verify that any possible solution in health or business can work for you. Just because it works for some people does NOT mean it will work for all. If you do nothing, you’ll also get the same – nothing. OK – I think that covers the legal disclaimer. I know all of this sounds too good to be true, but according to Wim, it is scientifically proven. 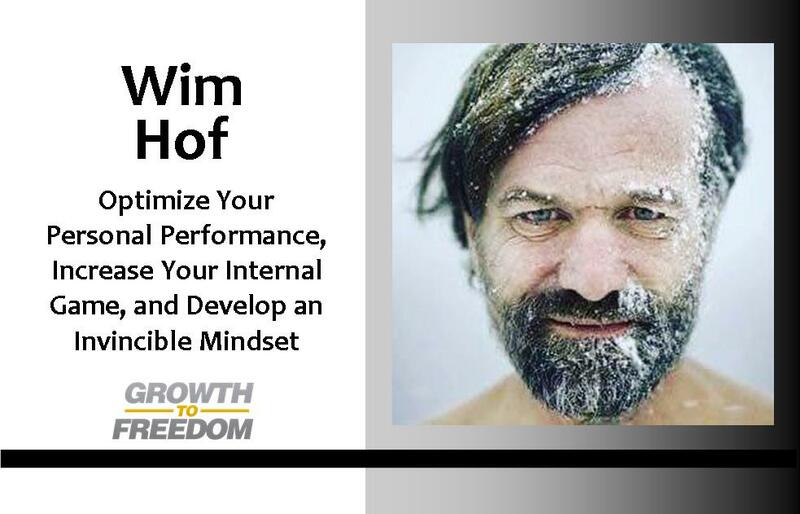 On this episode Wim shares the basics of these insights with us and provides a free resource that will enable you to get started developing your personal mindset, physical strength, and building a stronger YOU. Website: www.WimHofMethod.com and www.InnerFire.nl to receive Wim’s free training.